AKA AKA & Thalstroem are back with their second album, Connected, released on their own label, Burlesque Musique. After releasing album track "Take My Time," a collaboration with the Erfurt, Germany-based band Northern Lite, the trio released the album's first single, "Never Alone," a collaboration with Sola Plexus that offers a promising insight into the follow-up album to their successful 2011 debut, Varieté (BUR 001CD). "Never Alone" immediately proves that AKA AKA & Thalstroem haven't lost their sense for memorable vibes with a strong narrative. While their house beats open a cosmic and playful groove, the distinctive vocals by Sola Plexus spread the right portion of pop appeal, including a hopeful message against life's solitude. Connected features many guests artists and friends including Northern Lite, Sola Plexus, Jim Hickey, umami, and Chasing Kurt. AKA AKA & Thalstroem has always been a harmonious trio, whether on stage or in the studio; their teamwork vibe carries both listeners at home and audiences during their live gigs. 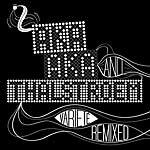 This is the first single from AKA AKA & Thalstroem's album Varieté Remixed (BUR 002CD), the beginning of a series consisting of three slabs of vinyl. Remix artists include: Phonique, Stereo Express, Tube & Berger and Oliver Schories. After their successful debut Varieté (BUR 001CD) (which stayed at #1 on the Amazon techno sales charts for weeks and was voted one of the top 10 albums of 2011 by the readers of Germany's Groove and Partysan magazine), AKA AKA & Thalstroem got together 31 remixers who made reinterpretations of their original tracks. Besides well-known artists like Marek Hemmann, Moonbootica or Turntablerocker, old stagers like Technasia or Axel Bartsch, a lot of newcomers are on the boat, such as Stereo Express, Dirty Doering, Joachim Pastor, umami, Hanne&Lore, Rampa and Joris Delacroix. The result is like the original -- a diversified overall package on 3 CDs which deliver the perfect soundtrack for every mood. Other remix artists include: Phonique, Einmusik, Oliver Schories, Tigerskin, Pupkulies & Rebecca, Lexy & K-Paul, Klartraum, Philip Bader, Demir & Seymen, Tube & Berger, Daniel Steinberg, Zombie Disco Squad, Dapayk, Axel Bartsch, Solee, Piemont, Mihalis Safras, Minicoolboyz, Broombeck and Emerson. AKA AKA produced their debut album with Thalstroem. Since their first mutual live appearance at Watergate in March 2010, they have traveled around all over Germany, Austria and Switzerland, leaving behind smiling faces. Thalstroem who plays the trumpet and the EWI (Electronic Wind Instrument), adds a new, floating and harmonic layer over AKA AKA's productions. Therefore, besides the familiar dancefloor-oriented tracks, you can expect some more melodic productions on their common album Varieté -- for instance, their cover of "The Rip" by Portishead, which they recorded with the Austrian singer Betty Lenard. But you can hear it also on their own tracks like "Springtide" or "Été," and you know what this sound says: join us on a green summer lawn. But an album by AKA AKA wouldn't be an album by AKA AKA without a club-approved run which starts with "Bretterbude" and "Nozzle" and continues with a 2011 re-edit of massive club hit "Woody Woodpecker." Among these floor-smashers, the typical Burlesque Musique sound will not be missed! "What Matters," their second collaboration with Umami, the addition of drummer Lizzy and the percussionist Manu Manou show how widespread but still consistent an electronic album can be.